Infographics can be educational, humorous, controversial, or newsworthy. Not every infographic should tell a story, or needs to. But sometimes it should. Why? Because it can help promote a cause or point of view, and motivate readers to action. Infographics are increasingly popular but more often than not it is a matter of lies, infographics, and unverified numbers. However, even if numbers can be verified and the infographic tells you more than 1,000 words, you need a good story to go with it. As this guest post by Karen Dietz explains, one method to improve the impact of your infographic is telling a story with it. This blog post came from discussions on Google+ between technology and nonprofit colleagues about which infographics really work, and which don’t. Since I work in business storytelling and organizational narrative, my comments tended to point out if an infographic actually told a story, or contained story devices to make the piece memorable, understandable, and more effective. People wanted to know more and kept asking for a blog post. Even if you are not a creator of infographics, hopefully the material below will give you ideas for displaying visual information in more compelling ways. I’m not a formally trained graphic designer, but have had to learn many design principles over the years. I eagerly read Edward Tufte’s work years ago. Alas, I do not create the type of gorgeous infographics so popular today. Think of me more as an outside reviewer cross-pollinating different fields. I take my lessons from the infographics world back to my business colleagues and clients so we can improve our own visual storytelling materials. Why would you want to incorporate story elements into your infographic? Or why would you want to have your infographic actually tell a story? Because our brains are hard-wired for stories. It is how we make sense of data and how we make sense of the world. When we are engaged with a story our brains release oxytocin, dopamine, and seratonin, stimulating feelings of reward and connection. Infographics can spark the same. When information is conveyed visually and also employs story elements, viewers will more easily grasp the meaning of the data and be able to act on it. And they will share it. As Nathan Yau says in the chapter entitled Telling stories with Data in his book Visualize This; The FlowingData Guide to Design, Visualization, and Statistics (2011), “It’s not just a bucket of numbers. There are stories in that bucket. There’s meaning, truth, and beauty” (page 2). He goes on to say, “Sometimes you’re not looking for analytical insight. Rather, sometimes you can tell the story from an emotional point of view that encourages viewers to reflect on the data. 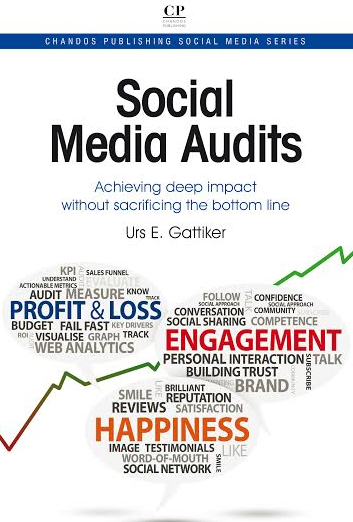 Not all movies have to be documentaries, and not all visualization has to be traditional charts and graphs” (page 5). First, we will look at the difference between storied and non-storied infographics. Second, we will delve into story elements that can be used in infographics. Third, we will examine the strategic thinking that needs to go into figuring out whether to use story elements or not. And I will share some of my favorite storied infographics. Fourth, we will wrap it up. 1. What is the difference between storied and non-storied infographics? What we also need to know is what neuroscience is teaching us about the brain and how it processes information. In simplistic terms, it is commonly known that the left brain is linear, logical, skeptical, processes numbers and facts. It is also emotionally neutral (this is important), often seeking more information. If you’ve ever been in a room of engineers doing over data, you know a lot of debate about the numbers goes on, and it is easy to get stuck there. The right brain however, is relational, imaginative, fills gaps where information is missing, and is emotionally engaged. Being emotionally neutral or emotionally engaged is hugely significant. It has been said that we make decisions emotionally (in a nanosecond) and then justify our decisions with logical reasons. So if you want someone to take action on the data that’s provided, incorporate meaning-making story elements to enroll them. 2. What are the story elements to include? Adding story elements into an infographic will have it connect more with your readers, make it memorable, more shareable, and potentially go viral. 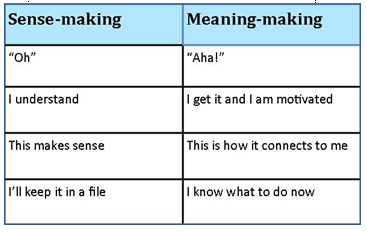 The first graphic lists commonly used sense-making tools (I’m sure there are others to add). The second graphic adds the available story elements that could be added to an infographic. Here’s more on each story element, with examples. Story elements include metaphors, which I am sure you are familiar with. I often find these in infographics, but not all the time. When they are used, they make the data so much easier to digest. I now have a framework to relate to, a framework for the data so I can understand it more easily. Below are two examples that effectively use metaphors to frame the material. Which Female Tech Influencer Are You? Emotional triggers are visual and data display devices that evoke emotion. Think of how we feel when we see data about people going hungry – usually not so good. But here is the important point about evoking emotions: you never ever want to leave someone feeling bad. There always needs to be a way to resolve the emotion. This happens in two ways: through building the infographic around a story arc, or by presenting a problem and its resolution. A story arc is not just having a beginning, middle and end to your visual story. It is about moving viewers from dismay / despair to heartened / hope. Okay, let’s talk about beginnings-middles-ends, also known as sotry arcs. The easiest infographic visual layout to use for this element is the popular long vertical form. Works for me. I know where to begin and where to end, and I anticipate lots of good data to digest in the middle with transitions that help move the story along. Some data is displayed in such a way that we get it by simply viewing it, so beginnings, middles and ends don’t apply. Like a subway map. But if you want more information on creating story arcs and effective transitions, check out Nancy Duarte‘s book Resonate: Present Visual Stories that Transform Audiences. It has great diagrams and structures and her thoughts can easily be applied to infographic designs when needed. Now we are getting to the end and the question remains, what is the key message to convey with any infographic? I am sure this is familiar territory. And of course, this has to be figured out before figuring out how to display the data. What insight do you want people to gain? What is the point of the infographic? What is the purpose in putting the infographic together? What personas or archetypes do they reflect? 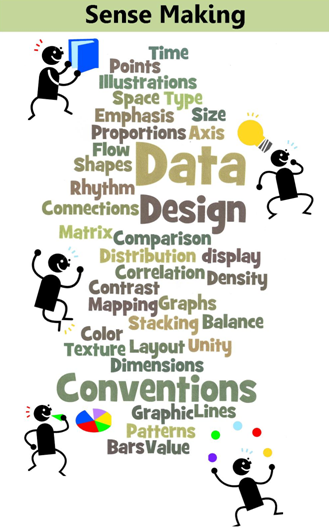 Understanding this helps select graphic design elements and metaphors. Are there characters that could be added that reflect the personas/archetypes to make the data more meaningful to readers? What emotions do you want viewers to feel? Where do you want them to start? How do you want them to move through the material? “The role of the storyteller is to ‘Comfort the afflicted and afflict the comforted’.”. This is from professional storyteller Elizabeth Ellis. I can see how infographics can do the same. 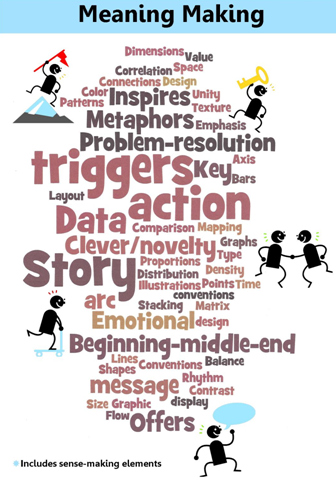 I bet you are already using some of the story elements above as you design your infographics. Hopefully by collecting them all together in one place they can be more consciously used. If you do decide to add more story elements to your infographics, may you inspire people, go viral, and have more fun! Tip: Search for more ComMetrics and CyTRAP sources on infographics, statistics, report writing or storying it (click to query). Disagree? Agree? Sure. Leave a comment! 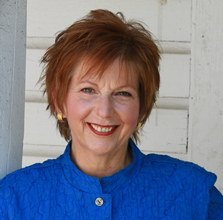 About the author: This post was written by guest blogger Karen Dietz, an experienced business story and organizational narrative expert. She writes about the intersection of story, marketing, branding, social media, and technology and curates content on business storytelling at Just Story It. You can find her on Google+ and Twitter @kdietz. #Things2Read: via @kdietz http://t.co/kkDrWLtE #Statistics versus words: Storied #infographics: Why do they fail? #Things2Read: via @kdietz http://t.co/nO98Gzlj #Statistics versus words: Storied #infographics: Why do they fail? “Just a very small percentage of those fans that Like your competitor’s Facebook page see the carefully crafted status updates. 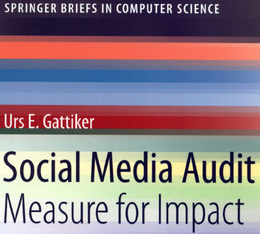 Research based on 400 mio Facebook fans indicates that 3.5 to 7.49 percent see your status update. Just about 0.25 to 0.90 percent interact with the status update. @kdietz:disqus Thanks so much for sharing your inishgts in this blog post. I learned a lot from it. PS.. Of course it does not trigger these transformative emotions as you recommend we do (see figure 3 above). But it is a start. Or, “Research is showing that email campaigns and Facebook status updates are more like broadcasting news to an empty stadium. Just a very small …”I really like your ending statement! @twitter-11253892:disqus thanks so much for this tip. I am still learning with this but I am sure I will improve. It took me awhile to get in that frame of mind. And it’s a lot of fun! It is like broadcasting news to an empty stadium @twitter-11253892:disqus Nice going I still love that one. @kdietz:disqus Thanks so much for this tip. I look forward to your next post. Previous post: Luxury brands: Does sin-free equal failure? Next post: Facebook: Why is nobody listening?